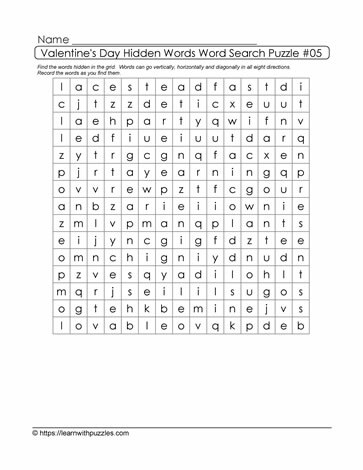 How do you make word search puzzles more challenging? One quick way to make them challenging is to remove the list of words at the bottom of the page. Students solve the puzzle by drawing upon their base knowledge of Valentine's Day words, locate the words hidden in the grid, and then record the words as they are found.